Sinn Fein TD Jonathan O'Brien. Cork City have apologised to supporters following an incident that saw Sinn Fein TD Jonathan O'Brien removed from Turner's Cross after fans raised a banner protesting against John Delaney. 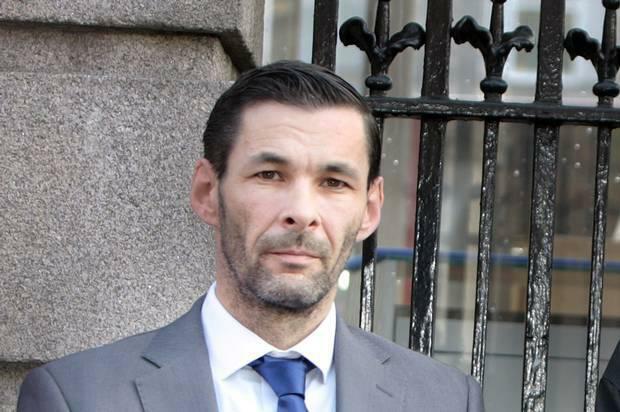 The Sinn Féin TD for Cork North Central was part of the Oireachtas Committee that met with the officials of the FAI in Leinster House on Wednesday, where he called for John Delaney and the FAI board to resign. After a banner protesting John Delaney was unveiled by a group of fans in the first half of Cork’s 1-1 draw with St Patrick’s Athletic in the SSE Airtricity League on Friday night, O'Brien was ejected from the stadium. The Sinn Fein politician was not the fan who had the banner, and told The Irish Sun that he was told his removal from the ground was down to 'impeding the gardaí from trying to remove the banner'. Cork City have since met O'Brien and say that 'both parties are happy that the matter is now concluded to their mutual satisfaction', with Cork apologising to fans for 'any upset caused'. "The club is aware of discussion around an incident that took place during last night’s game at Turner’s Cross. "The board is committed to making visits to Turner’s Cross an enjoyable one for all supporters. We apologise for any upset these actions caused for our supporters/staff and will review all of the club’s internal security procedures with our event controller and Gardaí. "In the time since the end of the game last night, the club has also spoken to all parties involved in the matter. "At lunchtime, members of club staff and the Board of Management met with Mr. Jonathan O’Brien T.D., who was, for a short time, removed from the stadium last night. Having spoken to Mr. O’Brien and reviewed the CCTV footage, the club wishes to confirm that there was no breach of stadium regulations by him. This was a frank and positive discussion, and both parties are happy that the matter is now concluded to their mutual satisfaction."